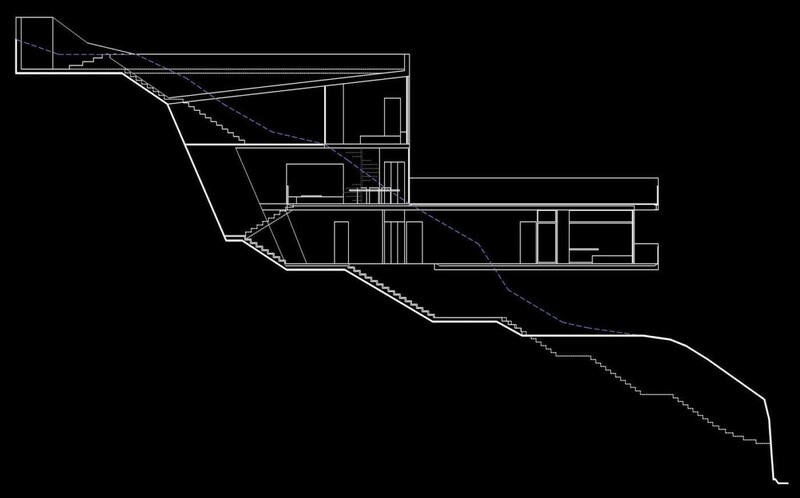 The steep slope of the residence's site excludes any attempt to extensively shape and use its immediate surroundings. 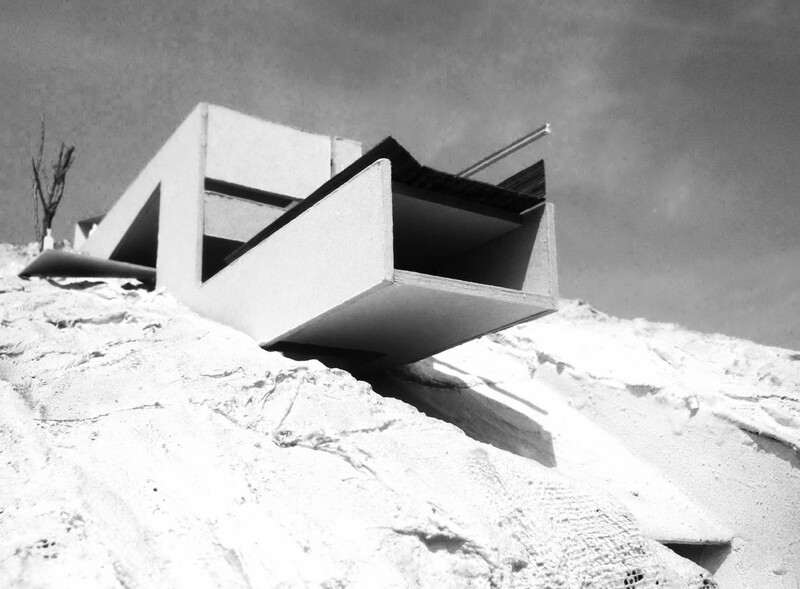 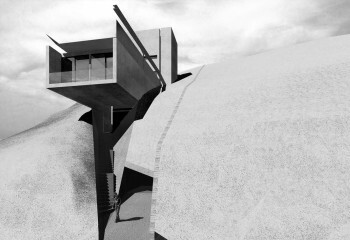 The residence exits the rock and through its escalation it becomes itself the only usable outdoor space. 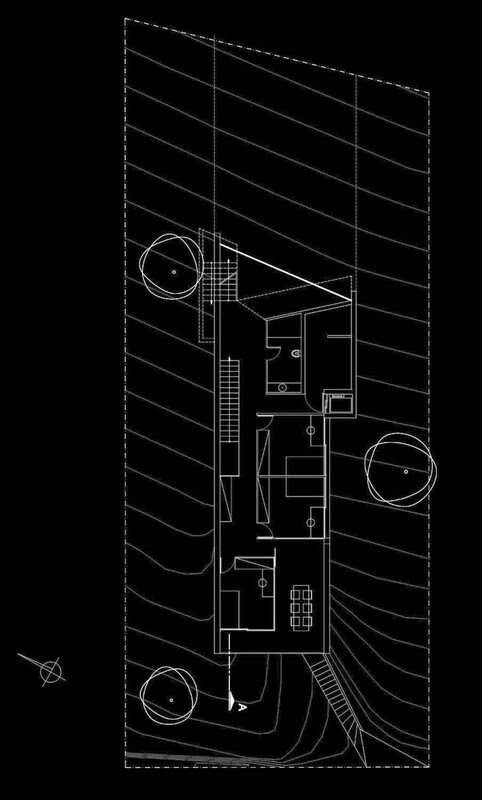 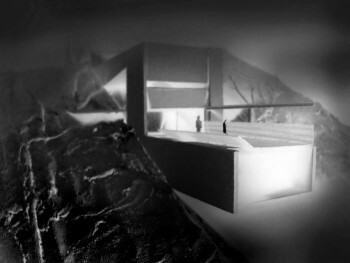 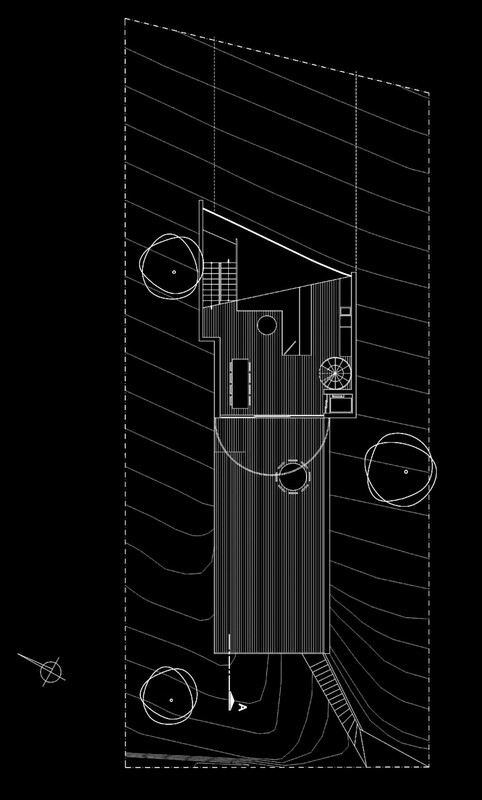 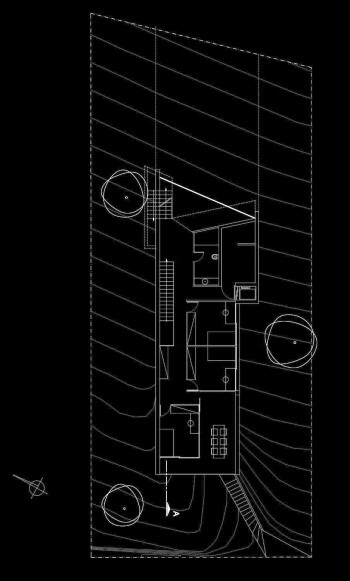 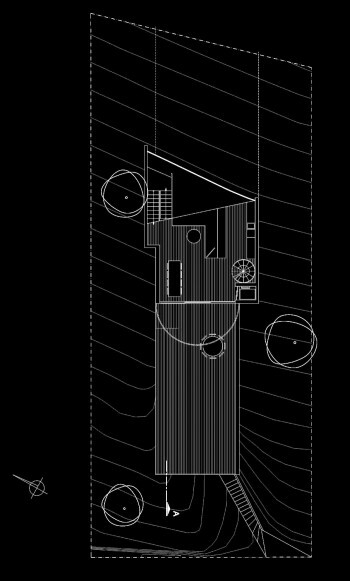 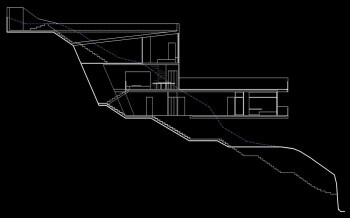 There are three main levels: First is the swimming pool, in contact with the top of the slope, then the all-day space, which extends its outdoor area into the underlying volume and finally the sleeping quarters contained therein.The excavation will be performed in a cautious way and with the intention of keeping its imprint visible on the interior of the living room by revealing the slope from within.